The Top 7 Rookie Mistakes Of Public Speaking. The following post is a guest post from Sarah Bedrick. 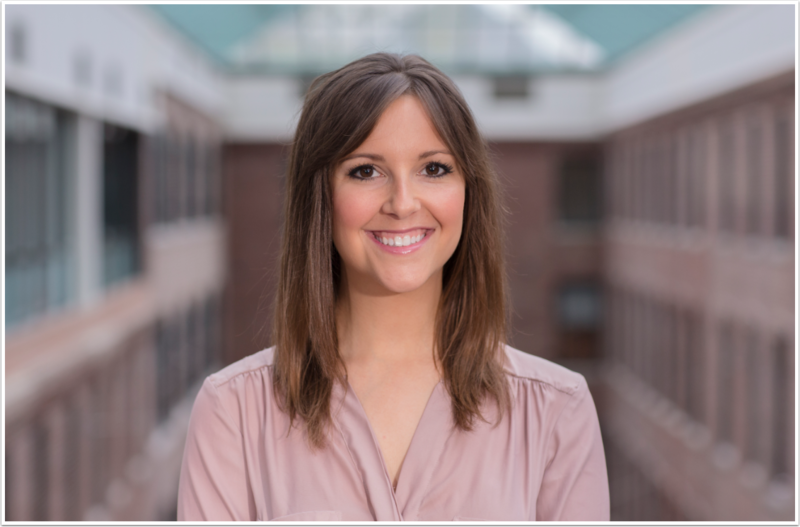 As one of the first members of the HubSpot Academy team, she leads the charge on introductory experience at HubSpot. She’s a lifelong learner that regularly engages in 30-day challenges, enjoys learning new skills (she is President of HubSpot’s Toastmasters Chapter) and she loves to write about inbound marketing and public speaking on her personal website and also blogs about craft beer. Connect with Sarah on Twitter at @sbedrick or on Google Plus. Whether we’d like to admit it, public speaking skills aren’t something we wake up with one day. Yes, it’s true, some people are able to speak comfortably in front of any group and we admire them for that. However, for those who aren’t natural born presenters, this requires deliberate practice. The good news? These skills are incredibly transferable. Think of how great it will be for your career to not only be a rockstar at your job, but to be able to speak eloquently and comfortably in front of others. And as technology continues to grow and videos (think TED, YouTube & downloadable learning content) are easier to access and become a learning tool, public speaking skills grow in importance. Not telling the right story for the right audience. A typical misstep for many: not creating a speech specifically for your audience. This can have many damaging side effects like loss of credibility, lack of buy-in and attention from the audience, and, most unfortunate of all, no invite to return to speak. So when crafting a speech, ask the person who hired you or orchestrating the event a few pointed questions. The questions should help you be more aware of who you’ll be presenting to and what your message may look like to them. Also, the answer you receive will help guide the stories you tell, the statistics used and even the wording (“free” versus “complimentary”). Tell me a little bit about the audience of this presentation. What types of information resonates well with them? Where do they usually go for information on this topic? What is their general attitude on this topic? Do they appreciate high level overviews or more nitty gritty details and best practices? Not wearing the right clothing. Before you even begin to speak, the audience will begin forming opinions of you. How? By your nonverbal body language. According to Wikipedia, nonverbal communication is the process of sending messages to another without any words, relying heavily on visual cues. And this first impression people make happens within seven seconds. Thus, how you hold yourself and what you wear can dictate the message you’re sending. Set yourself up for a positive first impression and presentation by making sure you’re wearing clothing that’s appropriate for your message, the event and, most importantly, something that you feel comfortable and confident in. Oh, and don’t forget your smile. As Martin Charnin once said, “You’re never fully dressed without a smile.” That’s quite true. Starting off a presentation with a smile, or even smiling periodically throughout, can help you not only appear like you’re having fun and enjoying yourself, but also can make you feel that way as well. Additionally, smiling is contagious and you want the attendees to be happy as well, right? Looking for some ideas on what to wear while presenting? This article from Forbes has some great suggestions for everyone. Men, looking to dress to impress for less? Check out this article from The Art of Manliness. And ladies, here is a helpful article for to uncover best professional attire to wear that sends the right message. Not memorizing openers, closers and transitions. These are the most important parts of a presentation because they’re where you captivate the audience, how you navigate the entire presentation and tie a nice bow on it in the end. You’re taking the audience on a journey – and the best journeys are the ones presenters purposefully composed. While memorizing these word-for-word isn’t necessary, having a strong understanding of what you’re going to say will help you to feel more comfortable as well as the audience. Take the time to memorize the opener, closer and transitions to make your story seamless as possible. Relying too heavily on your slides. We’ve all seen this rookie move before. Usually it occurs for a few different reasons, such as the speaker not being prepared enough to present, not knowing the material they’re speaking on at a level they should, or they’re nervous. Whatever the reason – it looks unprofessional and won’t help your credibility at all. Master your craft by determining how to exactly weave a web with your slides to ensure top-notch success. Remember, slides should enhance a presentation, not serve as a crutch to lean on. One of, if not the easiest way, to ensure success is to practice. Practice? Yes, practice. Just ask Larry Bird, Jerry Seinfeld or anybody else who has put a lot of time and hard work into mastering the skill that helped them most. Most of the time they’ll attribute their success to hard work and… Practice. Get the most out of your practice sessions by getting as close as you can to the mindset you’ll have when taking the stage. Complete a few practice runs, so you’re able to work out the kinks and see potential pitfalls and fix or minimize them. Stand up, and preferably stand in front of a mirror. Speak aloud and work through your presentation as if you’re on stage. Record yourself and watch the footage afterward in the mindset of an attendee to try to see it from their perspective. If you cannot record it visually, try just the audio. Have you ever been in a presentation where you wished the presenter went another 15 minutes? Most likely no. Going over time is not only disrespectful to the audiences’ time, but it also looks poorly upon the presenter because it could easily have been avoided with practice. Consider removing an entire section of your speech. Try including an analogy, metaphor or some sort of soundbyte that can drive your point home in shorter words and less time than any detailed explanation. Try to “kill a darling.” As a fellow HubSpotter, Rebecca Corliss once told me, “don’t be afraid to kill your darlings.” They’re essentially the parts of the presentation that you love that when reviewed with a critical eye, don’t actually add any value to it. Maybe it’s a statistic, side story or even a quote. Make sure you use good word economy when time is a factor. If you cannot remove a section, kill a darling – maybe it’s possible to remove a layer of detail that might not be relevant at points. So instead of doing a deep dive of best practice or the benefits of this new program or activity – try a more high-level approach. Once you’ve gotten it down to the allotted time, be sure to stay on time by appointing someone you know as a “timer” for you. This is a common thing in the Toastmasters organization to help presenters remain on time. In Toastmasters, a common theme is to show a green, yellow or red flash card to let you know if you reach the “acceptable” time frame, the “beware of going over” and the “you’ve gone over” time frames, respectively of course. 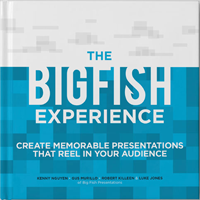 You’ve just spent a ton of time creating, practicing and executing on your presentation – and hopefully it was worth it. If you’ve educated, persuaded or inspired your audience, you may want them to take some sort of next step. And if that is the case, then there is no better time to hit them with the next logical step, or call-to-action (CTA), than the end. End your presentation with a call-to-action to incite your audience to action. Some common action items may be to visit a website, sign up for something, reach out, make a change of some sort – whatever makes the most sense for the audience to follow-up. There you have it – the 7 most common mistakes that rookie presenters make. If you have any you’d like to add – feel free to drop them in the comments section below.